The BEECHCRAFT 1900D is the 19-passengers world-class turbo-prop airliner, one of the most efficient and flexible regional air transport solutions. 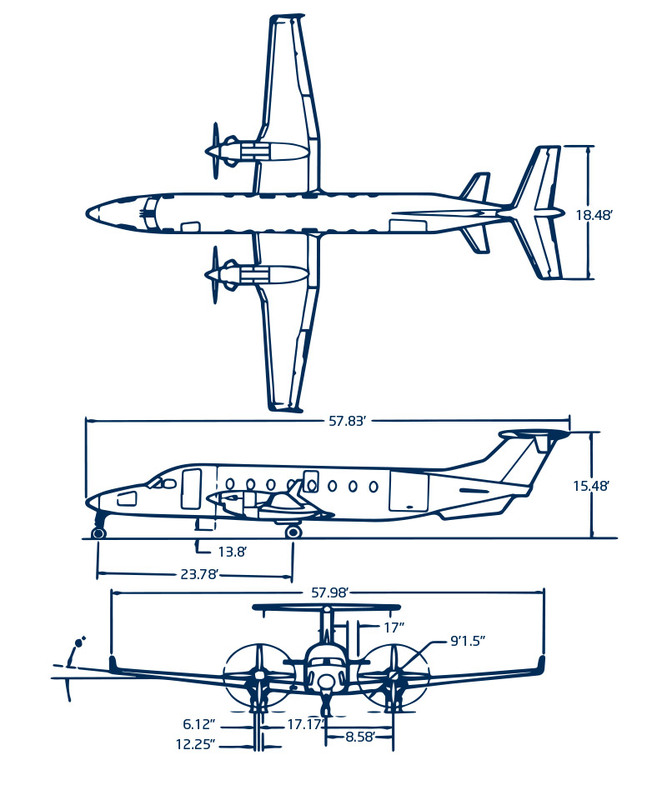 The Beech 1900D is extremely efficient on distances up to 300 miles (480km). The maximum operating altitude is 25,000 feet (7.600 m) above mean sea level with its pressurized cabin. It is designed to operate in most weather conditions, including icing conditions. Normal trip range is from 100 to 600 miles (from minutes to 2 hours). 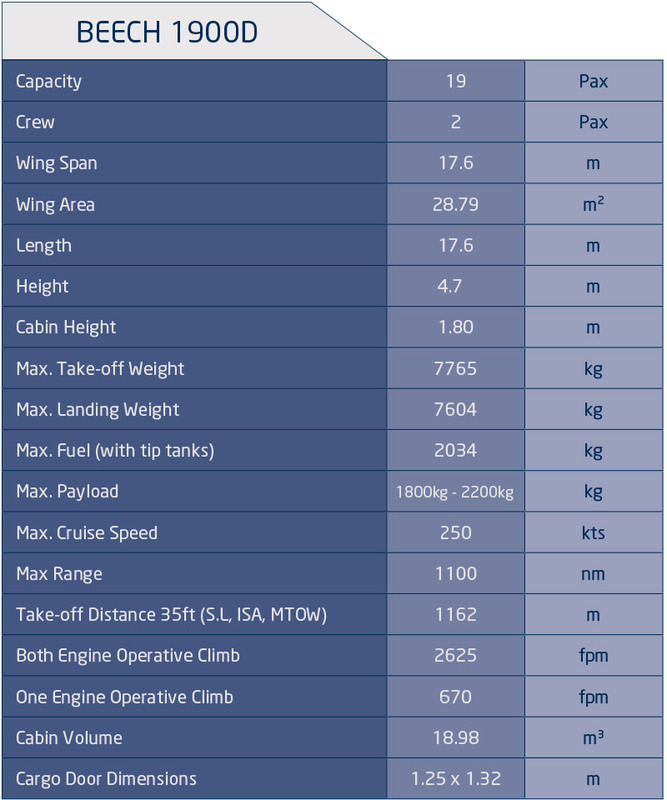 Full fuel tanks allow the aircraft to fly in excess of 1,000 nautical miles (1.900km). The Beech 1900D has a comfortable airline style stand up cabin, seats with recline and armrest features, tray tables and under-seat storage. This aircraft has a large cargo door and movable bulkhead that allows different passenger/cargo combinations. The pressurized and air-conditioned cabin with the single aisle layout provides each passenger with the comfort of a window and an aisle seat. The BEECHCRAFT 1900D is a high performance & versatile plane that offers great reliability, safety & low operating costs.